So began a blog post I wrote many moons ago wherein I described how terrible I have always been at remembering people’s names. The quote above is a link to that post, if you’re bothered. There’s quite a funny and true ‘story-against-myself’ at the root of it. I mention it so that you know I haven’t forgotten that I’ve written about this stuff before. I haven’t. My memory is pretty darned good, I reckon… for everything except names. So, yeah, ‘Bad with Names’ that’s me and that’s always been me. The other evening seemed to offer an escalation in my uselessness at recalling names. Please allow me to briefly recount the events for you. I was at Writer’s Group, which is a little thing I go to most alternate Monday evenings. It’s a low-key affair where a small number of people come and read out bits of their stuff and receive a little encouragement and perhaps a measure of constructive criticism. It’s small-time and nice. I like it. Last Monday evening, one of the writers coined the phrase ‘That’s All She Wrote’ in the piece he read. I started to wax knowledgeable about the expression, rattling-on about how it most likely derived from the 'Dear John' letters which sweethearts sent to their on-duty soldiers to break up with them. Apparently there was a joke wherein a soldier told his buddies how he had got a letter from his girl that started ‘Dear John’ and his buddies said, ‘go ahead, read it out to us’ and he replied, ‘that’s all she wrote’. That's when the name-blank thing happened. I was recalling a famous Country singer of the 40’s and 50’s who died tragically young and who had penned many hits which live on to this day. He had written a song called ‘Dear John, I Sent Your Saddle Home’ in which the expression ‘That’s All She Wrote’ turned up. Yes, but what was his name? I won’t play this game with you now. It was Hank Williams, of course. You know that, I know that… I just couldn’t remember his damn name. I did what I usually do in these circumstances, I shut down all extraneous communication in order to try to summon the name from the depths of my recalcitrant mind. It wouldn’t come. The writer’s group looked on in growing apprehension as I (rather pointlessly, it has to be said) tried to think of Hank Williams’ name. “It starts with a ‘C’,” I remember saying at one point. That didn’t help much, as you can imagine. So, okay, nothing all that unusual here. I couldn’t remember a name. Big deal. Yes, quite, but it’s what happened next that plumbed a new depth for me. I suddenly remembered Leonard Cohen and his song ‘The Tower of Song’. It has a lyric that I like quite a lot and I am very good at remembering lyrics. 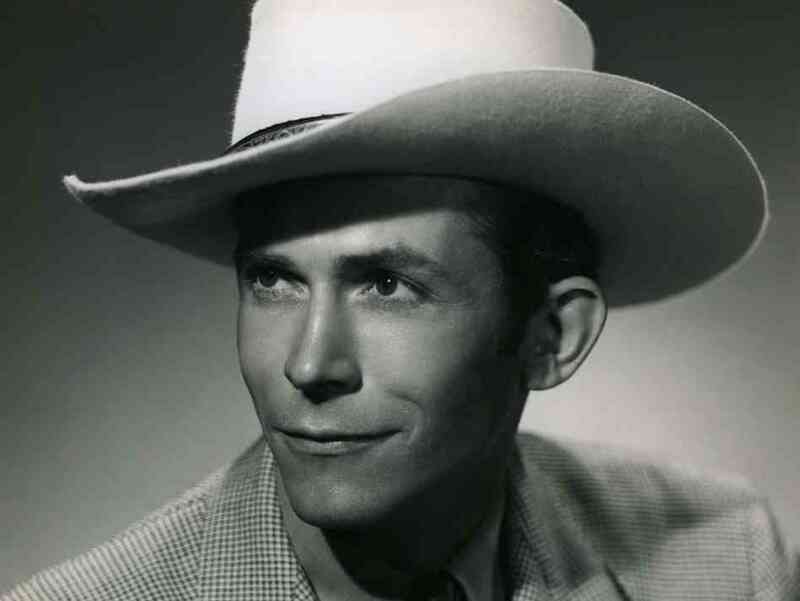 I knew for a fact that the Country Singer (Hank Williams) was name-checked prominently in that song. So all I had to do was run through the lyrics til I got to the man's name. Easy. In the Tower of Song. So I started to say this lyric aloud. I saw it as clear as day inside my head. Every word. Every word… except Hanks' name. It was the oddest thing. It was as if somebody had censored the song in my head, Tippexing-out every mention of the name. Everything else was recalled perfectly but the name was a blank. How bloody weird is that? Eh? I got so frustrated with myself that some kind soul had to finally look it up on his phone and put me out of my misery. I’ve always been bad with names. But this, for me, was a whole new low. I feel for you. I have given myself an additional problem when it comes to names I can't remember. I have a tendency to rename people - hence Barry & Rhoda have become Bob & Brenda. This is all very well at home - husband & son have worked out my code but when it comes to a face-to-face meeting with the newly named Bob & Brenda, I am in real schtuck! I have—and, strangely enough, always have had—a terrible memory for names. I have—or at least used to have—an excellent memory for faces but not the accompanying names. I still have a couple of leaving cards that I’ve hung onto for … Christ, the oldest one will be about thirty years ago now … and every now and then I stumble across them, look at the names and think: Who the hell was (s)he? My brother has three kids—a daughter to his first wife whose name I can remember (both the ex-wife’s name and the daughter’s although I’m not sure if it’s hyphenated)—and a son and a daughter to his second wife none of whose names I can dredge up at the moment. I can remember her father’s name and (surprisingly) the name of the woman he moved down south to marry (perhaps because she’s the only woman I’ve ever known called Joy) but I cannot for the life of me remember my brother’s second wife’s name nor the names of the children she bore him. I couldn’t tell you the name of most of my aunts and uncles (and there are a lot of them) apart from Harry, Frank and Lily on my mother’s side. I know my paternal grandfather was called John but he’s the only one whose name I can remember, none of my other grandparents. I’m trying just now to bring to mind the names of Carrie’s parents. Her dad’s called Emory (not sure if I’ve got the spelling right) but I’d have to ask her what he mother’s name is. I know it—it will be in there if I just concentrate for a while—but if I had to speak to her on the phone just now I’d have to call her ‘pet’ which she likes. And yet I could probably rattle off the names and rank of the bridge crews of every iteration of Star Trek (and I’m including the Enterprise ‘C’). For a long time I thought this was a "guy" thing. Hubby can remember faces, even their telephone numbers, but not names. I do remember names and it's a curse...because everyone in the family will call me to fill in the blank. However, I still occasionally have to revert to mentally going down the alphabet until the file cabinet in my head yells, "That's it! It starts with an 'H'....um Hank. Hank Williams!" If it makes you feel better, I found a sticker which is on the refrigerator at my senior citizens center. It says, "Hi! I can't remember your name either."